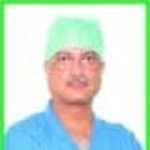 Dr. Sanjib Datta is one of the best ENT Specialists in Lake Market, Kolkata. He has had many happy patients in his 22 years of journey as a ENT Specialist. He has done MS - ENT . He is currently practising at Doctors Clinic in Lake Market, Kolkata. Save your time and book an appointment online with Dr. Sanjib Datta on Lybrate.com. Lybrate.com has a nexus of the most experienced ENT Specialists in India. You will find ENT Specialists with more than 43 years of experience on Lybrate.com. You can find ENT Specialists online in Kolkata and from across India. View the profile of medical specialists and their reviews from other patients to make an informed decision. Hi, I am suffering from severe blockage of nose from cold for past 10 days. I am using Nasivion drops for relief. What should I do for out of it. Thank you. You are suffering from URI means upper respiratory infection. Take medicine Hepar sulph 200 and belladonna 200, 4 pills thrice a day and report thereafter for further treatment. Besides this, take steam inhalation, do saline water gargle, avoid fatty, fried and oily food, be hydrated, take proper rest, avoid cold and sour food. Gargle with warm water and salt. Take garlic and ginger decoction Eat a spoonful of honey and ginger take warm fluids like teas or soups with broth For more queries, contact us. I am female of 16 years and I am suffering from sinus and body pains. What should I do? I was suffering from sore throat before 1 months. It subsided within 10 day by medication. Now I get recurrent attack of it. What can I do? Hi , it seems tonsillitis you had taken one strong combination of antibiotics you can go for one more course of levofloxacin 500mg once daily for 5 days along with normal saline gargle this is mandatory. See the frequency of recurrence then decide for surgery that is tonsillectomy. Have it resected out, permanently. I am 21years old I have pinolidal sinus and I had surgery at 2 months back and it has been recurred again, then what is the solution for this. Homoeopathy has good treatment without causing adverse effects. Take homoeopathic medicine belladonna 200 twice daily in the morning and in the evening and give feedback after 6 days. Hello doctor, My 4 year old son have a branchial sinus in right cheek. What is the appropriate step I should take for his cure. Is that severe or medium severe. If it is discharging than patient need to go for surgery, if the sinus is silent than than wait for the kid to grow. I am 29 year's old man. When I am eat spice, oili, cold, and warm food eat then my throat get infected. Last 3 days it is getting more. But when I coughing my split is so sticky please suggested me what can I do? Dear lybrateuser, - Try to avoid fried, spicy & cold fluids like aerated water as it worsens the condition - do steam inhalation twice a day & warm salt water gargles three times a day - have plenty of oral fluids - take syrup Zedex ( wet cough formula), 10 ml three times a day - take tablet Cheston- C, 1 tablet three times a day after meals - avoid exposure to dust & smoke. Sir I have an long time survive the sinusitis so how to remove this problem please solve sir. Hi, tk, homoeo medicines: @ sang nit1000-6 pills, wkly. @ kali bichrome 30-6 pills, thrice a day. Inhale, steam twice a day. Avoid, dust, smoke, alcohol, caffeine, nicotine, polluted atmosphere. I am 50 years old man. Early morning as soon as get up I get dark saliva from my throat. After wards I will get clear saliva. is it any symptoms or its fine.? Brown saliva can be a sign of a number of conditions, ranging from harmless to severe. Probably the most common cause of brown saliva is the presence of nicotine. Other possible causes, however, include acid reflux or small amounts of blood in the saliva or mucus. People who use tobacco products, either by smoking or using some form of smokeless tobacco, often have brown saliva. Nicotine from chewing tobacco or snuff dissolves in the mouth, and that which is not absorbed into the blood stream is usually spit out. Are amoxyllin and azithromycin plays equal role in treating throat infection caused due too cold. How both salt work in this case? Any of the salt is more effective for treating throat infection? The best course is to adopt Naturopathy. Inhale steam for 15 minutes till the condition improves. Drink 5-6 glasses of orange juice and a cup of spinach juice. Continue for 5 days and it will all be over. I am having sore throat for 15-20 days. Getting medicine and gurgling every night. But problem persists. In air conditioning it becomes more. To help relieve throat pain, drink 1 cup of warm water mixed with 1 tablespoon of apple cider vinegar and an optional tablespoon of honey. Bottom line: Apple cider vinegar has antibacterial properties and may help provide sore throat relief when consumed in small amounts with warm water. Gargling in salt water several times a day helps reduce swelling in the throat and losens any mucus helping to flush out your bacteria. Dissolve half a teaspoon of salt in one cup of water. If the salt is too much add a small touch of honey. Spit the water out after gargling and do not swallow it.